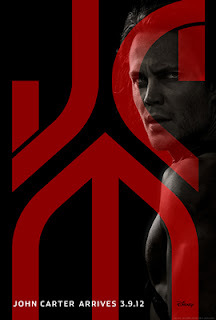 Between the Lines: John Carter in Theaters This Friday! John Carter in Theaters This Friday! Walt Disney's, John Carter hits theaters this Friday (3/9/12)! "JOHN CARTER is directed by 2-time Academy Award winner Andrew Stanton (“Finding Nemo” & “Wall-E”) and is based on the novels by Edgar Rice Burroughs which were the inspiration for such classic sci-fi adventure movies like “Star Wars” and “Avatar.”" Check out the images and trailer below for a sneak peek!